Here's an idea - the next time you're invited to a barbecue, why not turn up with an armful of plantain. Yes, you'll probably look a bit strange, but at least you'll be guaranteed a tasty, filling alternative while everyone chows down on hot-dogs and drumsticks. Boli (a.k.a. 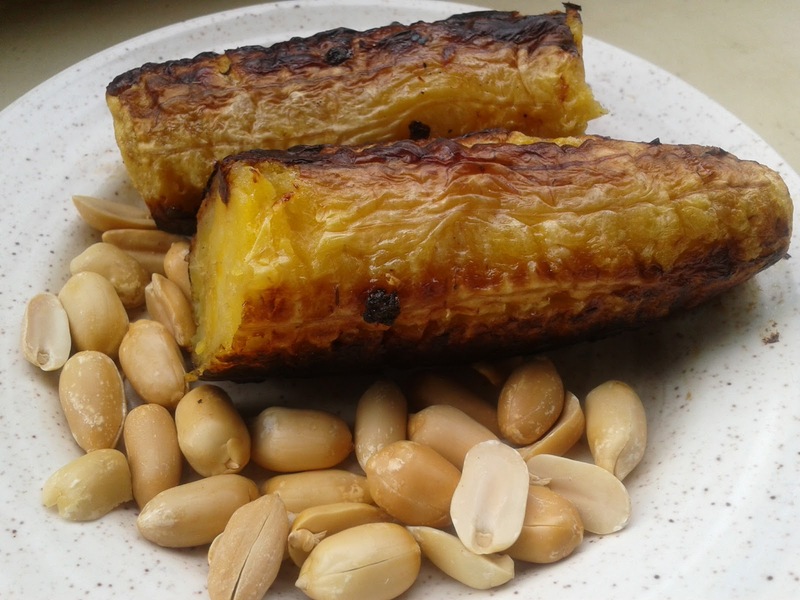 roasted plantain) is a popular Nigerian street food. Nothing fancy or complicated. Just a whole plantain thrown on a grill and turned around a few times to get it all brown and crispy on the outside, soft and chewy on the inside. It is then wrapped up in old newspaper and handed over with some roasted peanuts. What's so great is that it can be recreated at home, whether in a conventional oven-grill or out on the barbecue. But I'll never understand boli and groundnuts. I'm a Rivers girl, and it's supposed to be eaten with fish. Lol @ "Plantain for Life" hahaha! This is actually my first time seeing Boli and Groundnut...I thought it was just with fish but I guess anyone can pick their own substitutes too. Really plantain for life! My best food any day,any time. As a straight up ph babe and with berry on this ,I've jes never been able to wrap ma head around the plantain and groundnut combo. Omg, I love plantain too much! Boli, fried plantain, boiled plantain and egg sauce, plantain porridge, plantain chips, it doesn't end.